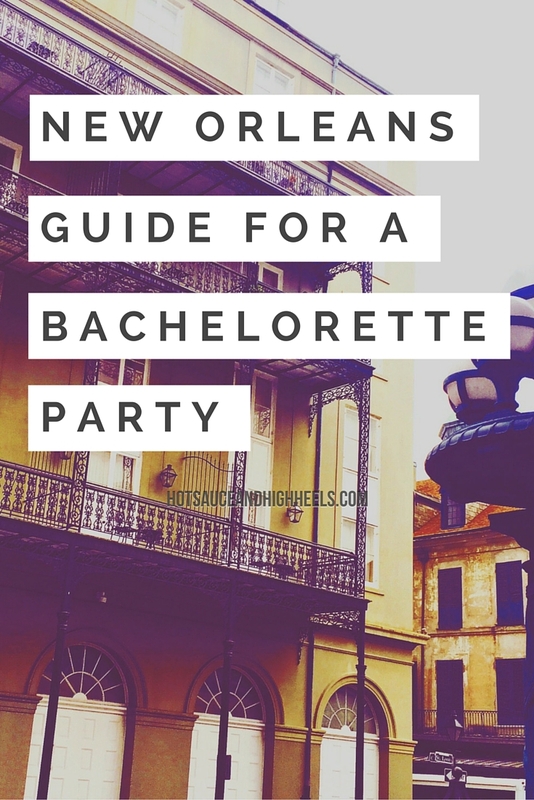 Being my third bachelorette party in New Orleans within a 6-month span, I was pumped to show everyone around, including a handful of first timers. I co-planned this with the Matron of Honor and it all worked out wonderfully. 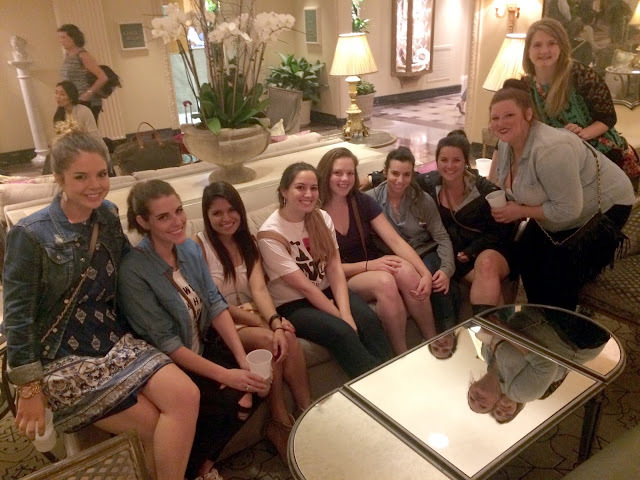 This was the first bachelorette party I have flown for and total we had 9 girls with 7 flying and 2 driving. The 2 driving had all the decorations with them and went to the hotel, Hotel 504, first to set up the rooms. The 6 other girls and I flew in early and arrived at 8:15 am on that Friday. Round trip transportation from the airport to the hotel was only $120 total (with tip), which split 6 ways came out to $20.00 each. We used A+ Transportation & Shuttle, and I would recommend them in a heartbeat. Since we arrived so early, the 2 girls driving had not made it to the hotel yet, which I planned for, so we dropped our bags at the hotel and started our day. It’ll change your life. The past two times I had been to NOLA, I planned on stopping at the wonderful Café Du Monde but whenever we were near it, the line was always too long. But newsflash, it’s always going to be long. So this time I made sure we stuck it out. Tip: go through the to-go line, always too crowded to try and find a seat anyways. And it is open 24 hours so you can indulge at any hour of the day. The bar is moving, I swear it is. Then it was noon, time for a snack and drink, and what better place to do so than at one of Vouge Living's Top 20 Bars In The World. TheCarousel Bar in Hotel Monteleone is something you have to experience. 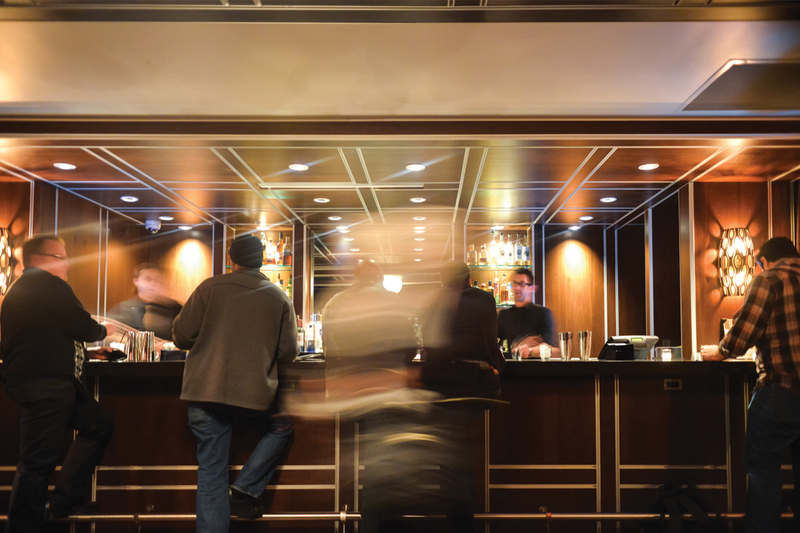 A bar that actually turns ever so slowly, and a cocktail list to die for. The snacks and atmosphere were nothing to turn your nose up at either. So after a few relaxing moments, it was time to meet the rest of the girls at the hotel and really get the party started. Hugs were exchanged and favor bags were distributed. Alas, due to a scheduling conflict, lunch was cut short as we made our way to the Ghost Tour. (See, told you not everything goes according to plan) The ghost tour though was very interesting and we enjoyed our host very much. A lot of history and information on the city and how it came to be the culturally unique epicenter it is today. The company was New Orleans Street Walkers Tours and after splitting the cost of the bride, each of us paid $30.00. But it was a private tour, and well worth it. After a few hours back at the hotel to rejuvenate and get ready, we headed to Bourbon Street for dinner at Saints & Sinners. This place turns into a bar / club at night, but low and behold they have dinner, and it’s pretty good. We were served by whom we were convinced was Channing Tatums’ actual cousin and I had the crawfish, because how could you not. Then it was time to hit the town and start with the ever so delicious and colorful purple drank from Jean Lafitte House. This is the oldest bar in NOLA and you can tell. Very dark, and usually crowded, your best bet is to send someone up to the bar to buy the drinks and then drink them in the street. If you can grab a table, stay and enjoy the music and atmosphere, but odds are you won’t. But no biggy because you can drink outside in the streets. My suggestion would be to split one between two people, they are decent sized and you can’t drink them too fast because they are frozen. Also word of caution, you can’t take this drink into the other bars. It’s hard to tell which places will allow outside drinks, but you end up having just as much fun outside of the bars as you do inside. We spent the rest of the night between The Heat and Cat’s Meow, ending up back at Saints & Sinners with a free bottle and an area all to ourselves in the front. Night. Made. We took our time the next morning, with brunch not until 10:30 am at the Court of Two Sisters. If you plan it right, this pretty much serves as your breakfast and lunch considering we didn’t leave until noon. Always a beautiful experience with live jazz, a traditional southern buffet and enough mimosas to go around. Since it was noon and socially acceptable to start day drinking, we stopped at the infamous Pat O’Brian’s for the Hurricane, which did not disappoint. Window shopping in Jackson Square led us to the Jackson Brewery, where we realized the groom and his party had taken a photo just weeks before during his bachelor party. So of course, we had to top them. Our pole dancing class at Pole Pro was at 3:00 pm so we made our way there and enjoyed a two-hour group class on the basics of dancing on a pole and let me tell you – it wasn’t easy. Not that it was hard, but you never would guess it took that much coordination and strength. I have a new found respect for the profession and if something ever happens, let’s just say I have a backup career. All in all, the pole class, split 8 ways, came out to $37.50 total with the deposit included. Bourbon, oh my sweet Bourbon. 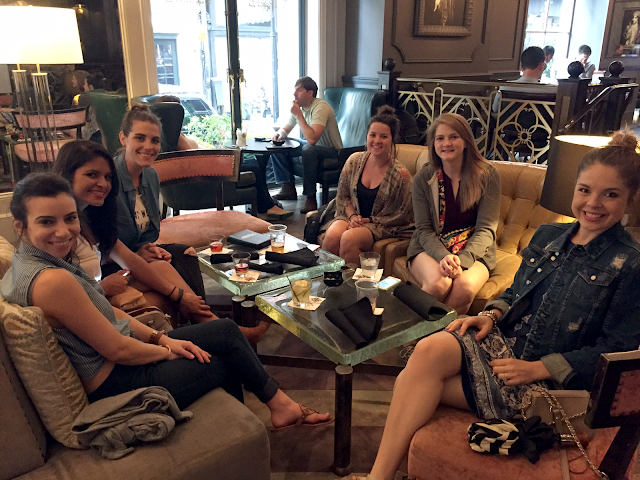 We relaxed for a little bit at the hotel after the pole class and then headed to dinner at Evangeline. Our table had a bachelorette necklace at each spot, provided by the restaurant. Food and drinks were amazing, and it was a nice change of pace from our busy day. For our nighttime festivities, we ventured over to Frenchmen Street, which I heard was the new hip place to be. A world of difference from Bourbon Street, the vibe was more laid back and open with a small vintage art festival set up with the cutest trinkets and gifts. After an hour or so, we decided our hearts and dancing shoes belonged on Bourbon Street, so we ubered back and danced the night away, completing the night with a street cart hot dog, perfectly ending a whirlwind weekend in NOLA. Our flights left early – which left no time for activities – but plenty for airport naps. The weekend was long, but eventful and I can’t stress how happy I was to A) Fly on a plane instead of drive and B) Fly back early on a Sunday so that I could attempt to recover before work on Monday. I wanted to state that I usually like to have an Air B&B for big groups like this, but we planned to go during one of the busiest festival seasons in NOLA so by the time we went to book our stay, there were not that many options left. Over all, the bachelorette party only had one hiccup, and the rest ran smooth. We didn’t end up doing every single thing I had planned, and that’s okay. 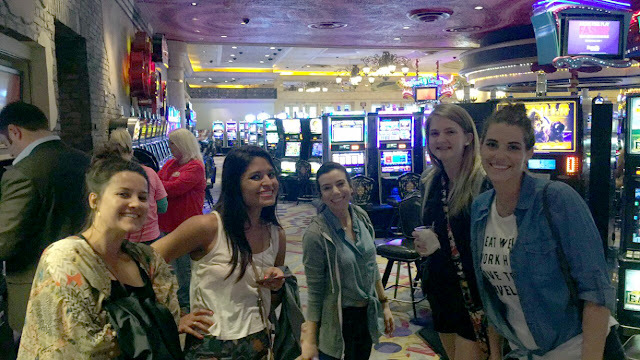 At one point some of the girls even went back to the casino and some went and took naps. That’s the beauty of these events, we are all different and end up doing our own thing at times, but all that mattered was that we were there for our girl, celebrating the next big event in her life. What would I change? 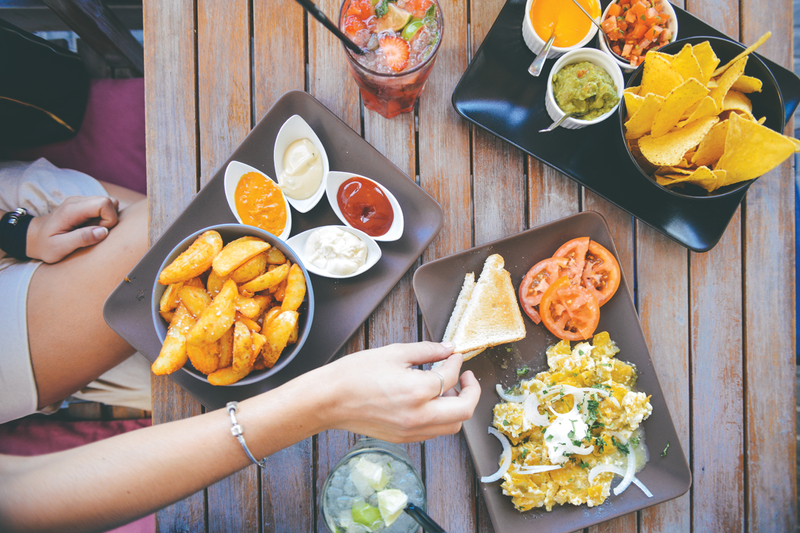 Planning meals more strategically and giving more time to rest and get between meals and activities. 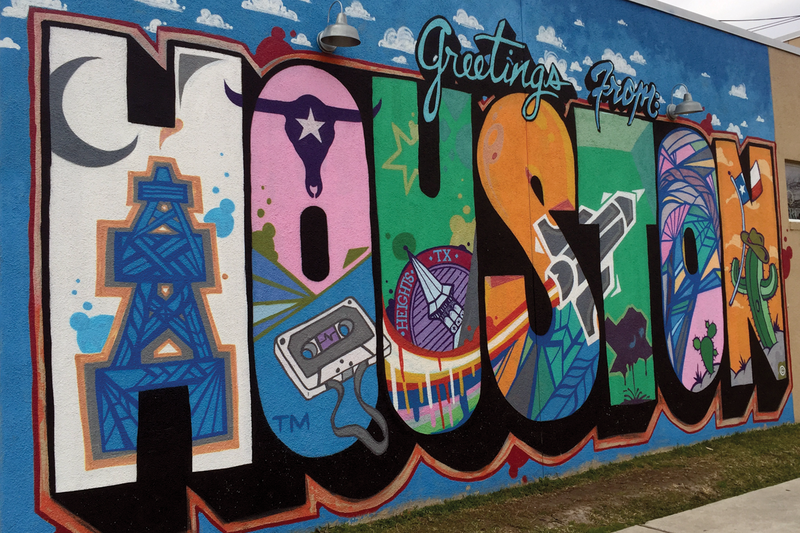 Bayou City ballin' on a real world budget. Exploring and creating the best life I can live. I hope you join me! How To Throw The Best Bachelorette Party - Ever. © 2015 Hot Sauce & High Heels. Phoebe Template designed by Georgia Lou Studios All rights reserved.